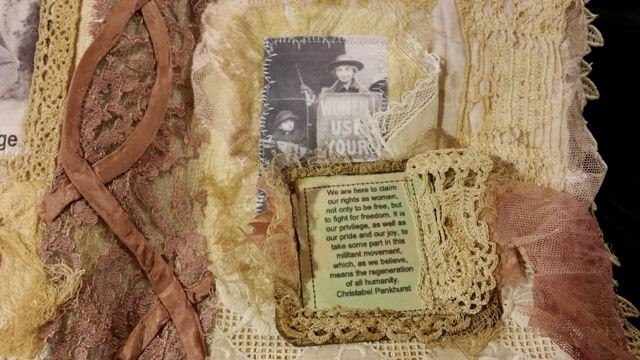 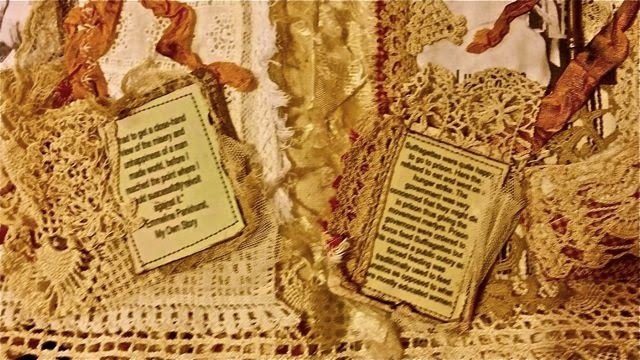 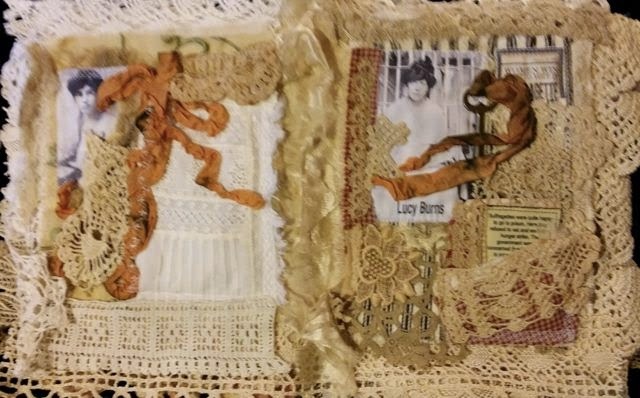 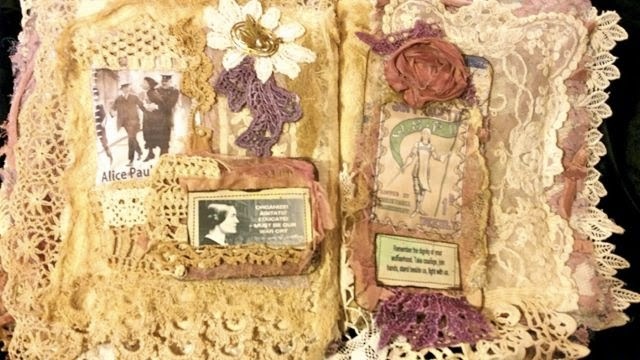 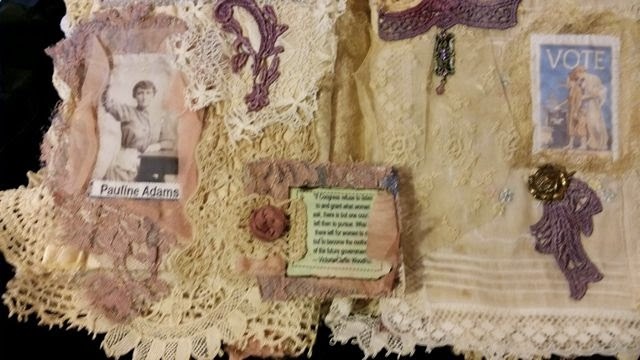 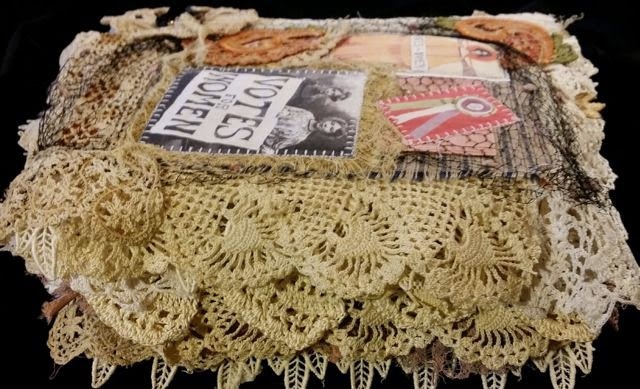 Suffragette Lace Book is finally finished! 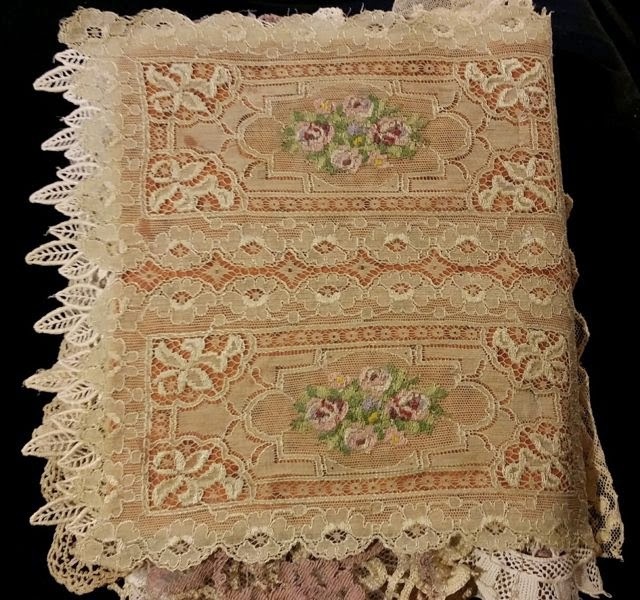 Layers upon yummy layer of luscious, delicate, vintage laces. 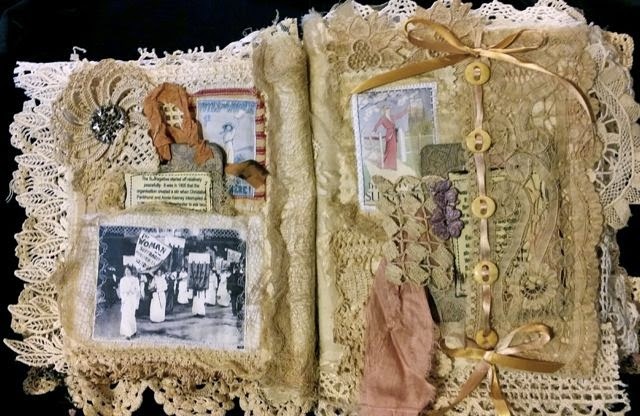 The book measures approximately 9x7" and about 3" thick. 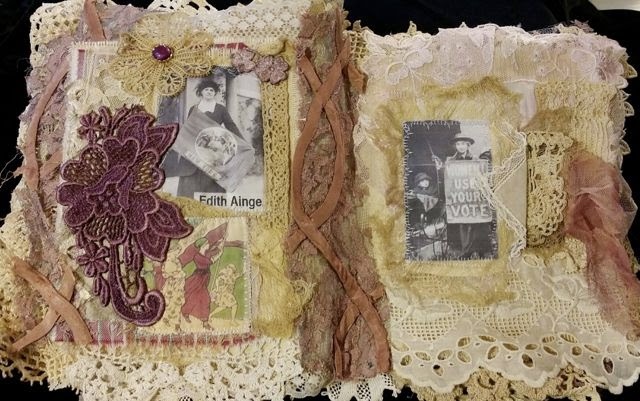 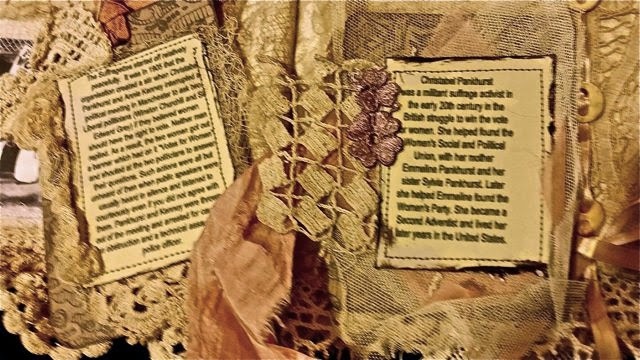 Many pages have pockets stashed with lacy tags with information regarding the Suffragette Movement, their goals, and some of their quotes. 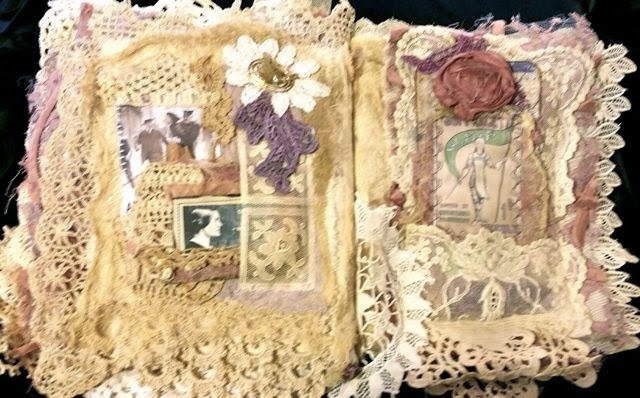 All the photographs are printed on cotton. 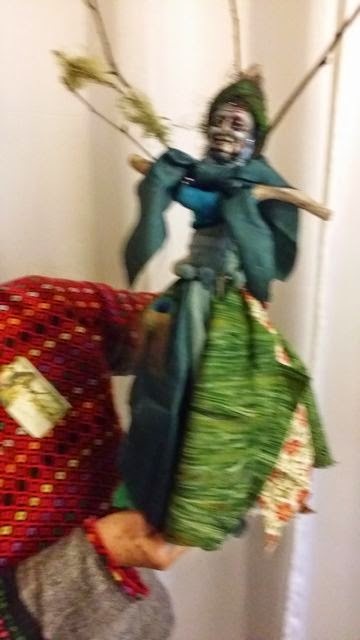 I've tried to capture the tags. 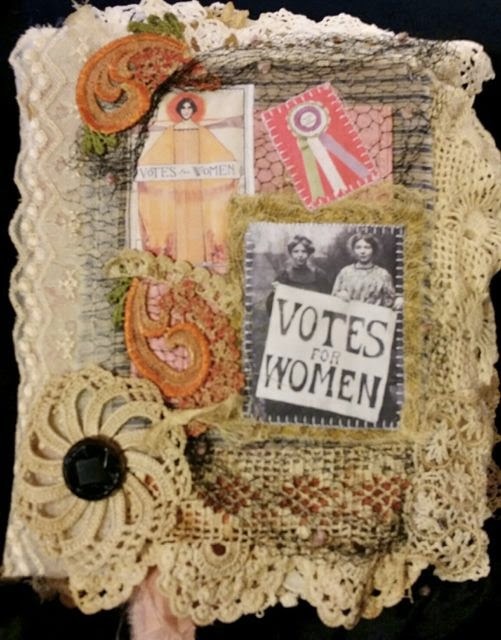 Many Suffragettes welcomed going to jail to make their point! 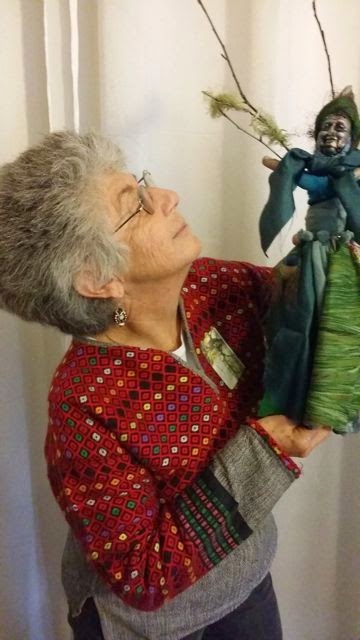 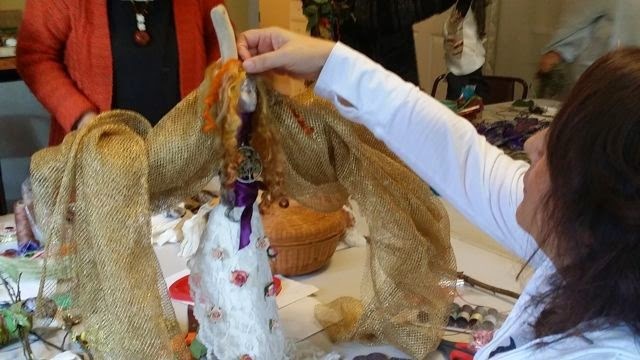 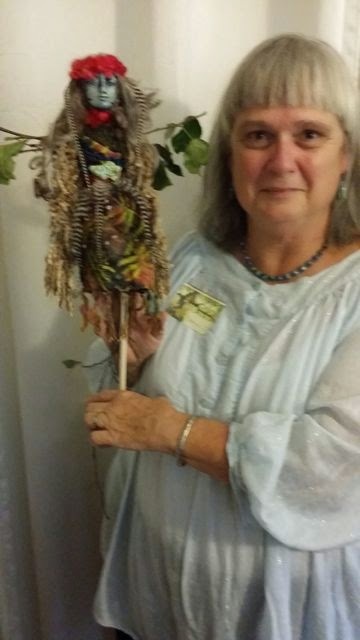 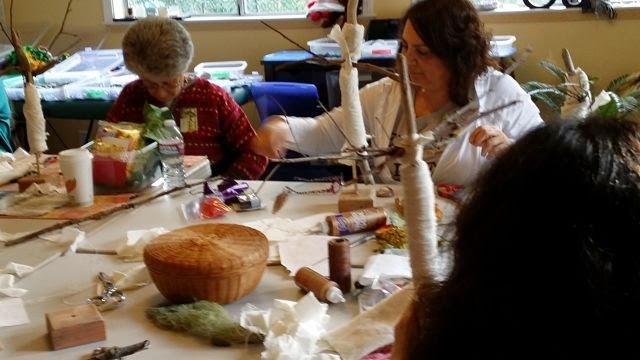 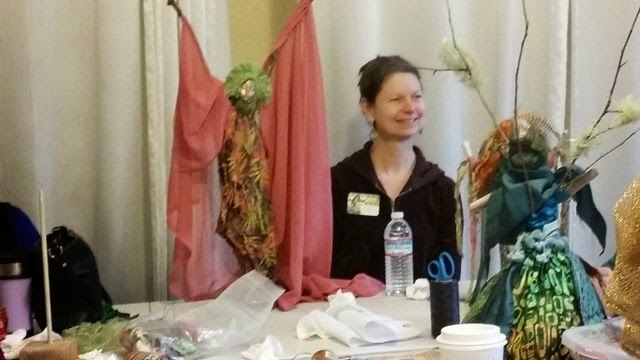 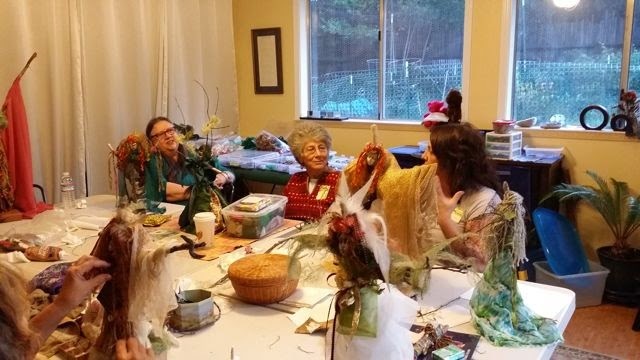 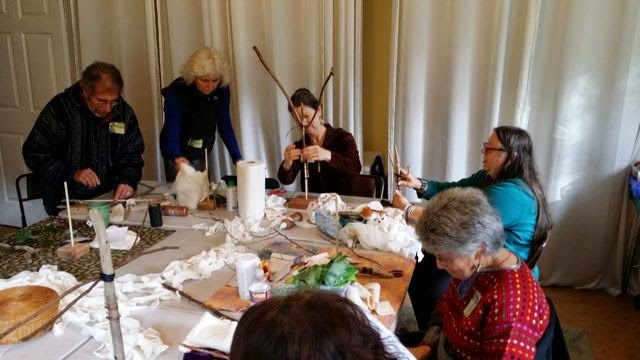 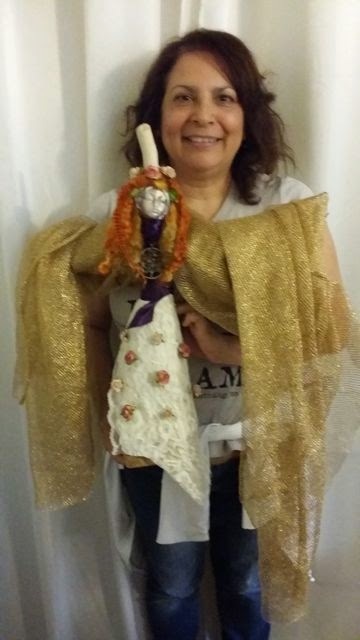 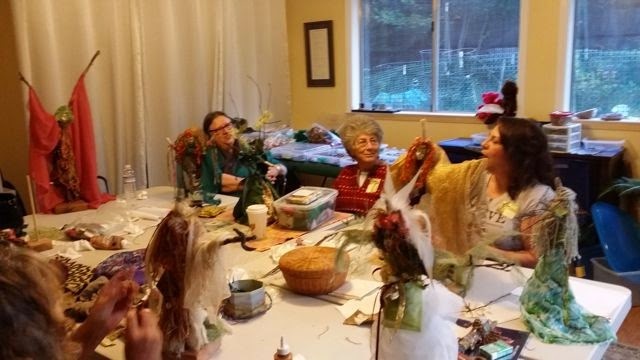 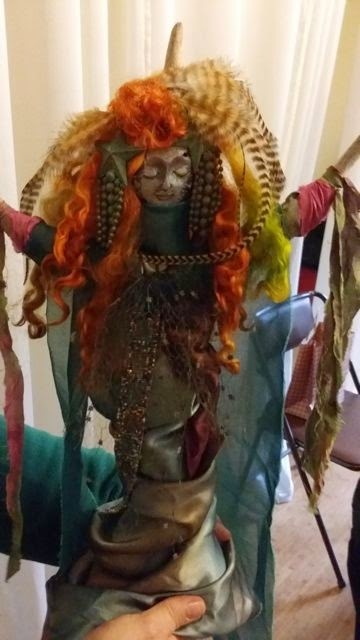 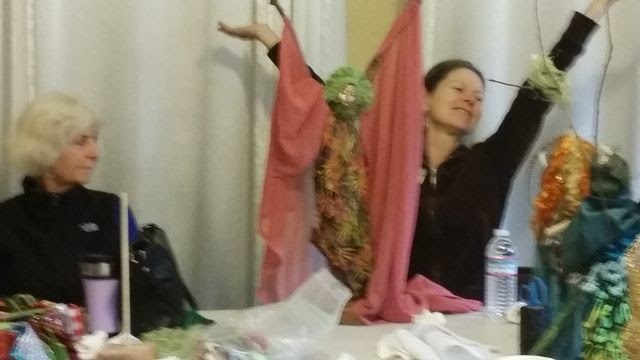 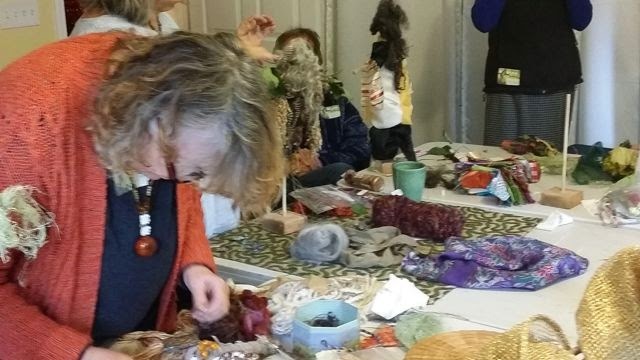 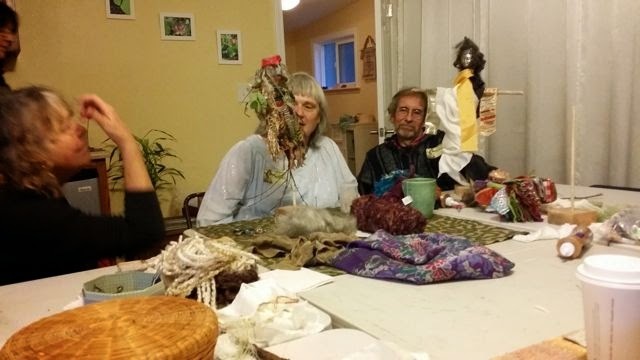 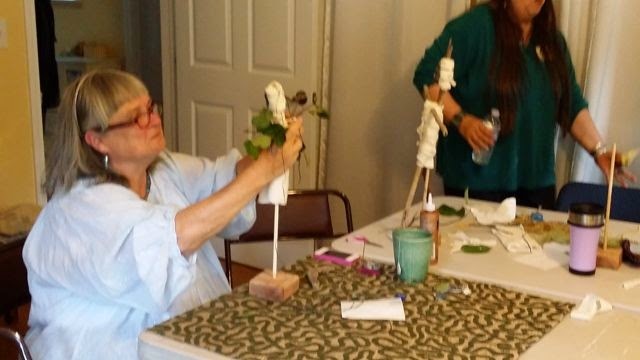 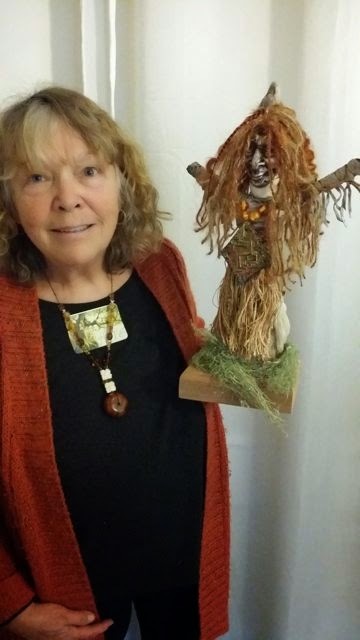 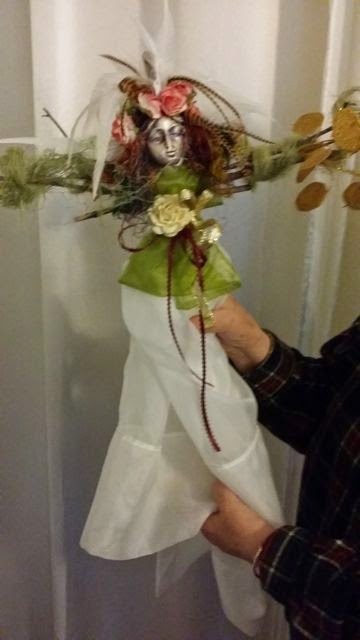 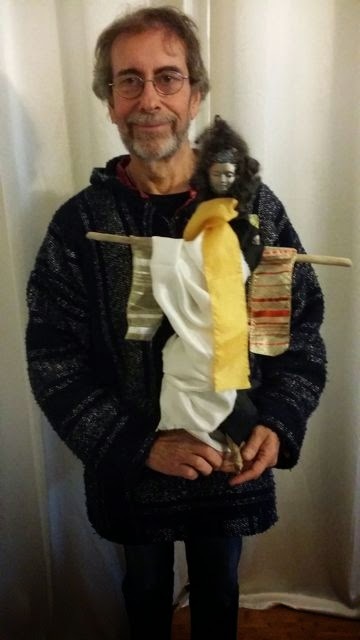 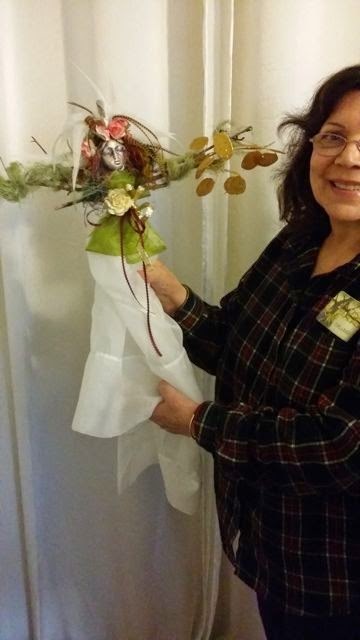 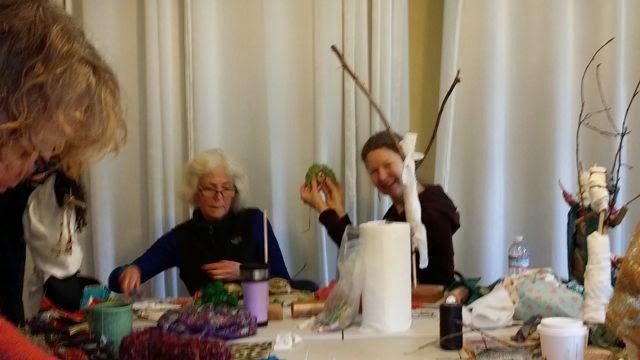 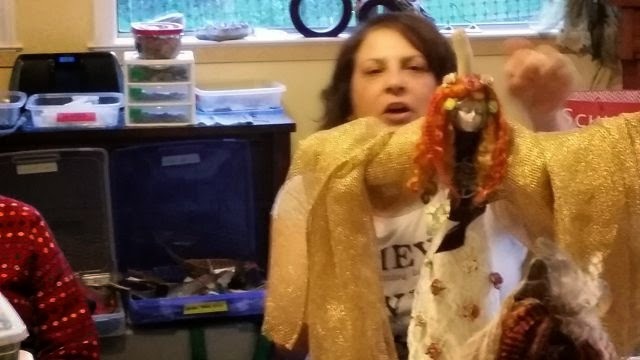 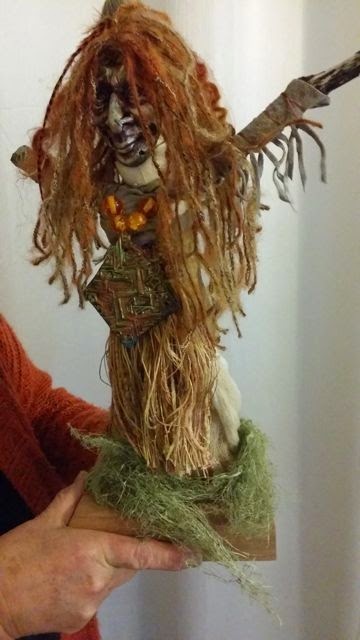 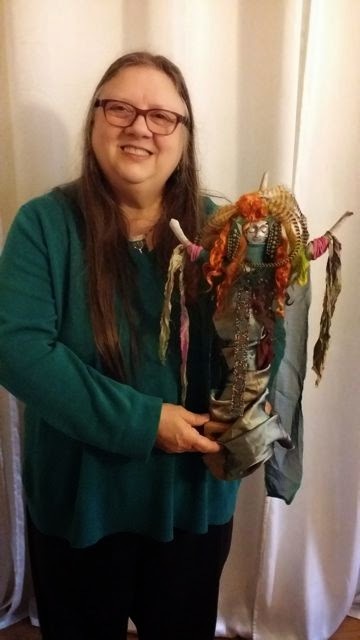 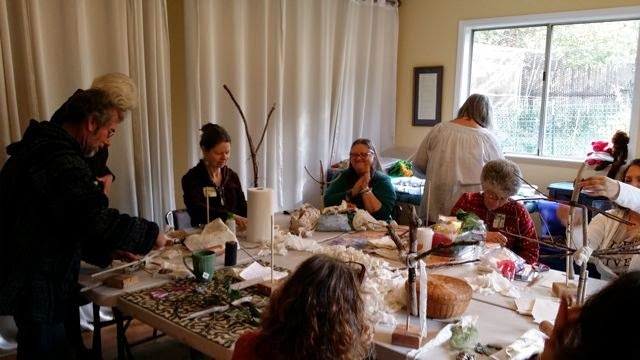 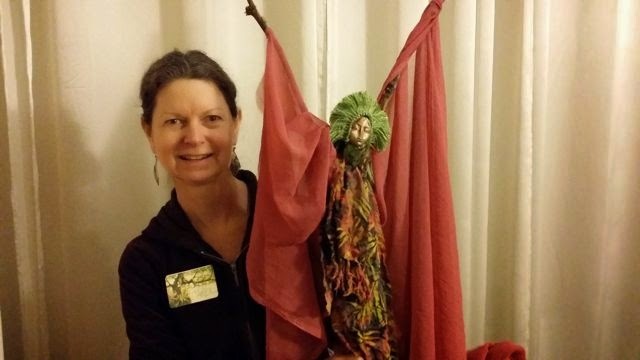 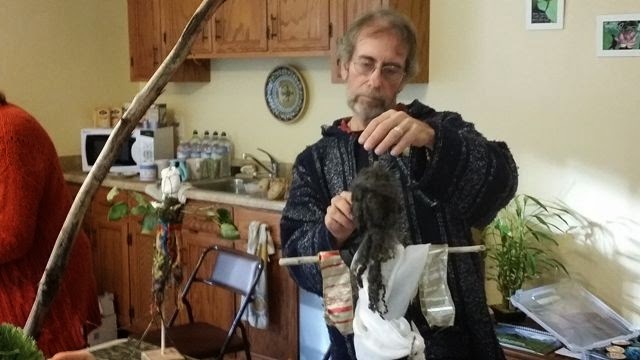 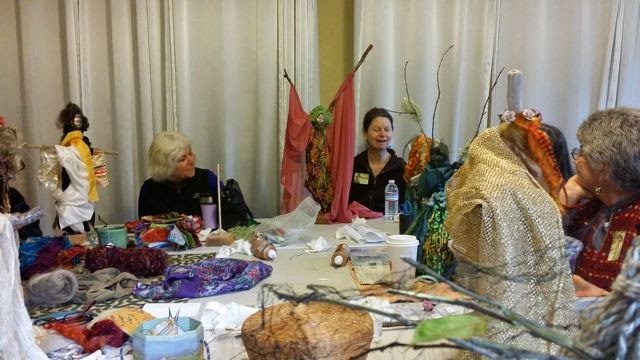 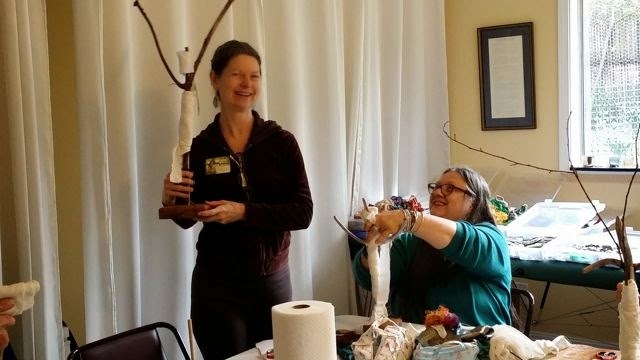 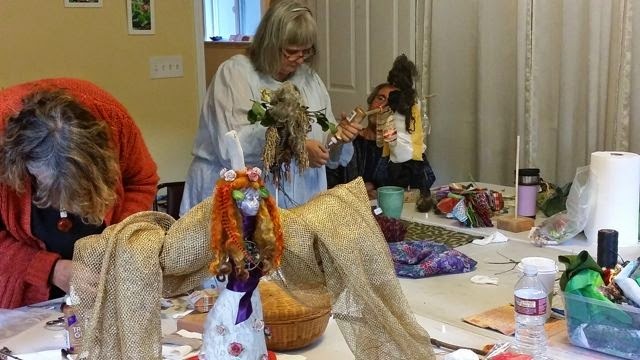 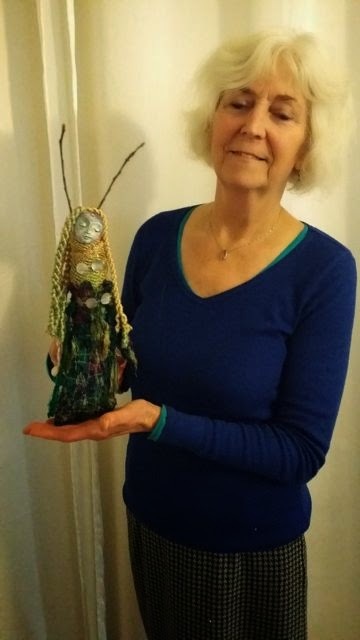 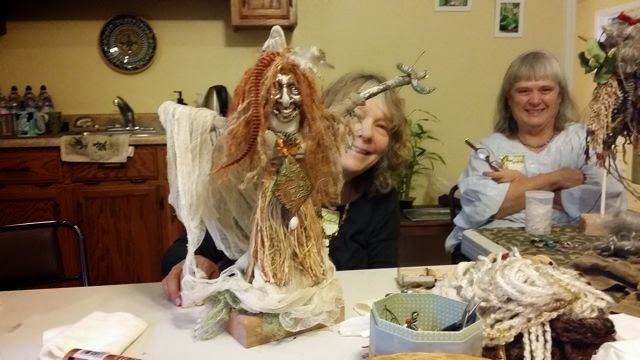 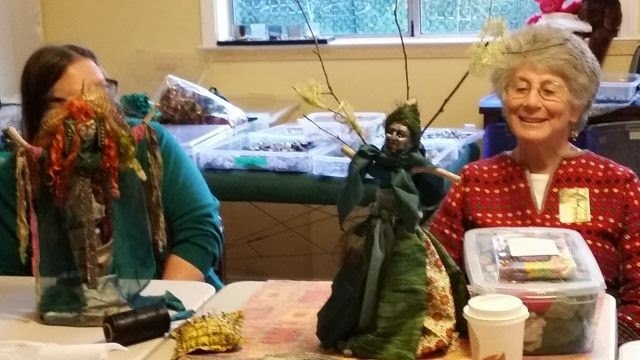 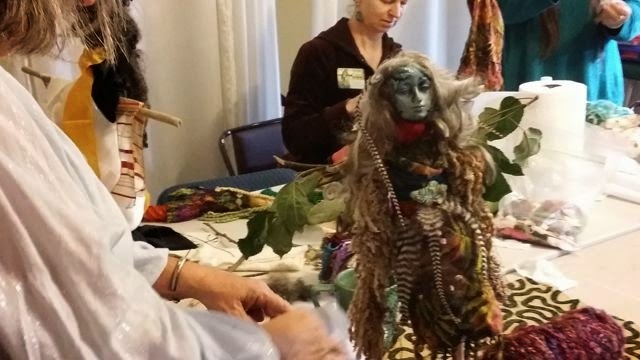 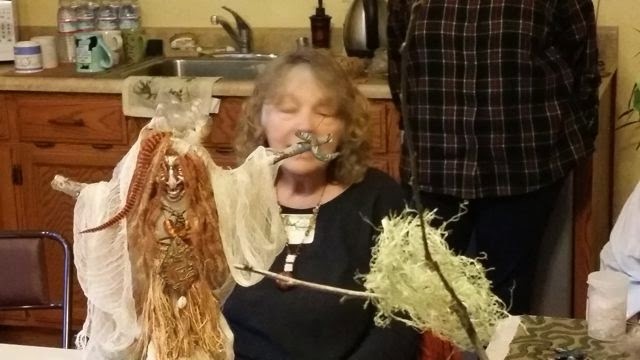 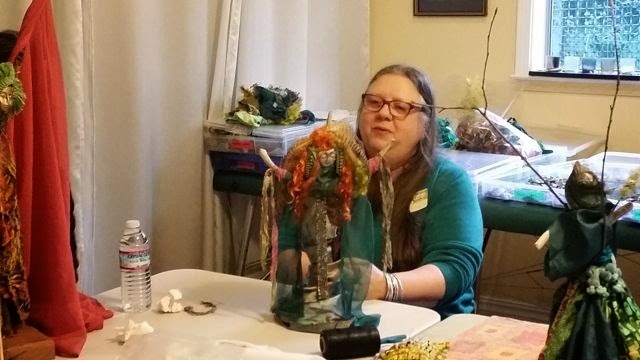 Yesterday's AMAZING Spirit Doll Workshop! 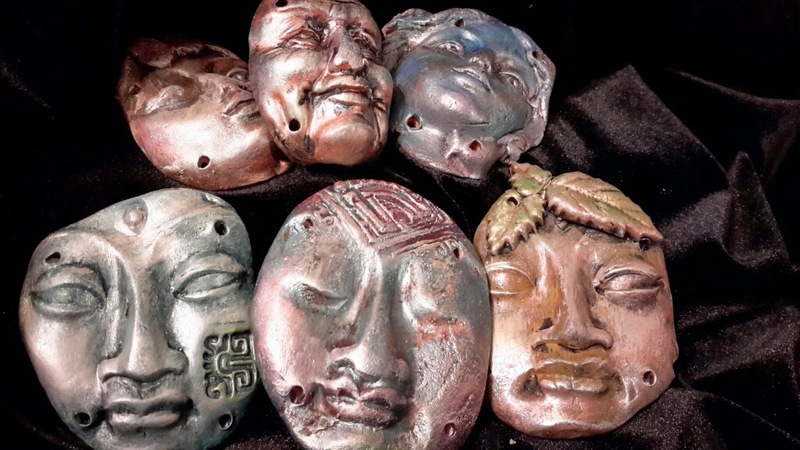 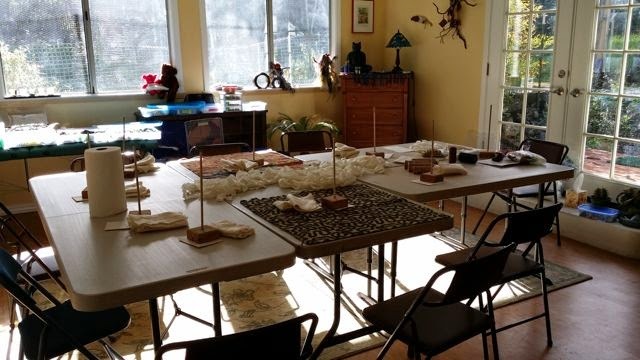 There were 10 of us gathered at Joyce's Reiki Center yesterday. 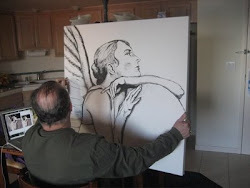 No one felt really confident in their artistic skills. 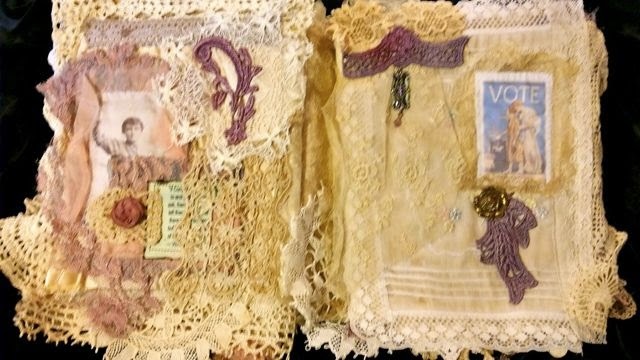 What came was truly AMAZING. 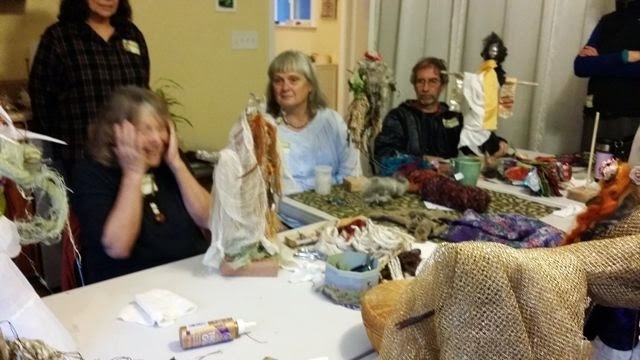 We had a short meditation first, putting what we 'think we know' aside for the beginners mind. 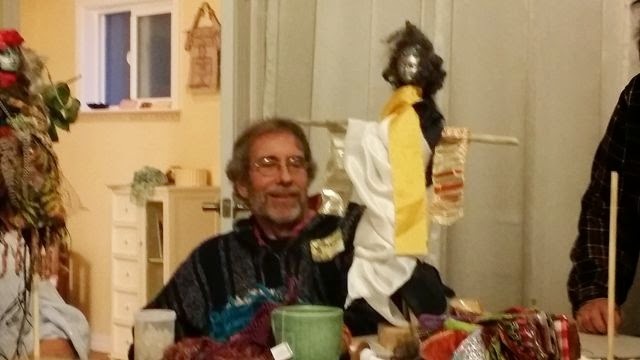 Truly... when we all got into the flow, Spirit moved! 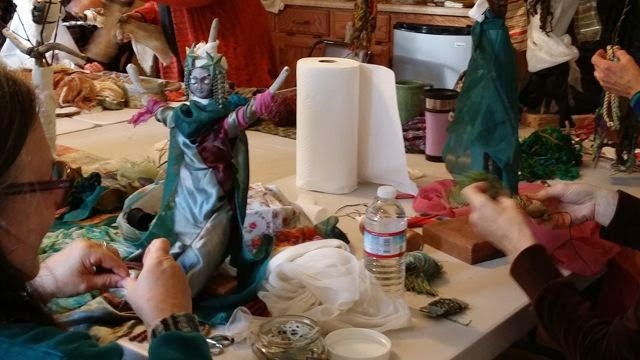 Just look at the process... then, the amazing dolls that came forth!